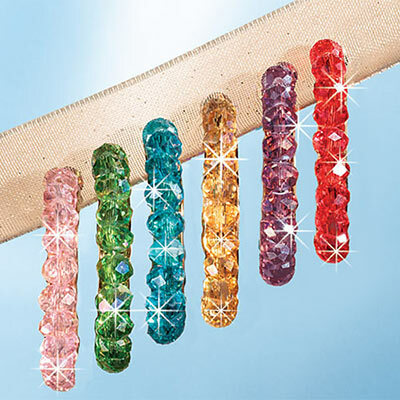 So much colour, it's impossible to choose just one pair of these Beaded Sparkle Hoop Earrings! 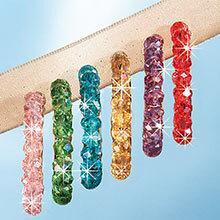 Dazzling crystal beads with an aurora borealis finish shine to make a brilliant rainbow of sparkling colours. Gold-tone hoops with pierced backs. 1½"h.